A powerhouse food and natural remedy thought to aid in the relief of many conditions, apple cider vinegar is a hot topic in the world of nutrition. While its weight loss benefits are discussed widely, they have not been proven. Apple cider vinegar, or ACV, may lower blood pressure when consumed daily as a capsule or as a liquid mixed with distilled water. High blood pressure, also known as hypertension, is a common condition in which the force or pressure of blood against the artery walls is abnormally high. High blood pressure is a serious condition that can lead to heart disease and coronary problems. While high blood pressure is a serious problem that should be treated by a physician, there are many natural remedies and nutritious foods that can aid in the stability of blood pressure. MayoClinic.com recommends watching your weight, eating a healthy diet, cutting out smoking, watching stress levels, and getting regular exercise as natural ways to promote healthy blood pressure. According to Brenda Skidmore, Holistic Health Expert at Disabled World, high blood pressure is just one of the many conditions apple cider vinegar can help abolish due to its powerful ability to balance the body's pH. By breaking down fat and phlegm deposits in the body, it aids in better circulation and lower pressure against the arterial walls. ACV contains potassium, which helps prevent hair loss, cold symptoms, and brittle teeth or loss of enamel. The malic acid in ACV is an anti-viral and anti-bacterial, which can help ward off cold sores acne. The acetic acid in apple cider vinegar slows digestion of starches, helping the blood absorb glucose at a normal rate. This may suggest a link to weight loss, as controlling blood sugar is one of he keys to weight maintenance. You can visit your physician or purchase a home blood pressure monitor to check your own blood pressure regularly. Hypertension, or high blood pressure, is a serious condition linked to cardiovascular disease. If you have been diagnosed with high blood pressure, it's a good idea to continuously check your blood pressure and incorporate foods into your diet that will aid in the maintenance of healthy blood pressure levels. The standard dosage for apple cider vinegar is 2 tsp. diluted in water before meals. While many people enjoy taking each dose in a full 8 oz. glass of water, apple cider vinegar is most effective as a digestive tonic when taken in a more concentrated form. However, it is highly acidic and is thought by many to have a strong, somewhat displeasing taste. The maximum effective dose recommended is two tablespoonfuls of apple cider vinegar, three times a day. 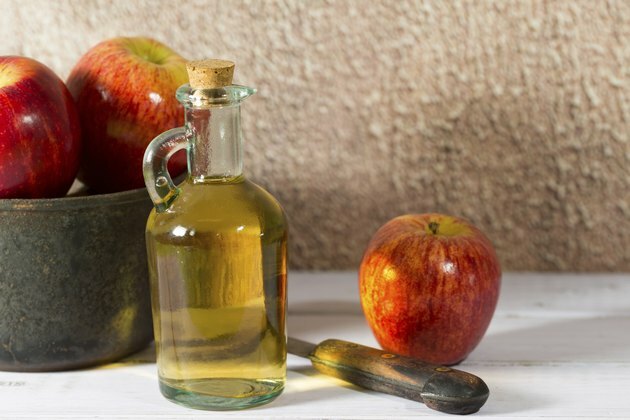 Always consult a physician if you are drastically changing your diet or incorporating apple cider vinegar for the first time, as it may interact with other medications and drugs. Furthermore, high blood pressure is a serious condition. If you have high blood pressure, consult your physician about the severity and recommended solutions.